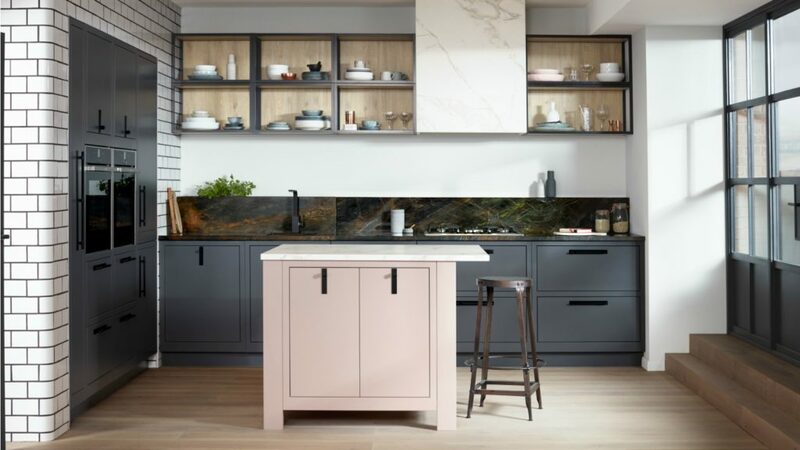 Distributor PWS has “re-energised” its classic 1909 kitchen furniture collection following market research and customer feedback. The product refresh includes four signature looks, five colours, redesigned units for greater flexibility of design, and over 50 handles. Its four signature looks span Shaker, Georgian, Ovolo and Slab, which sit alongside the existing Half Pencil, Scalloped and Quarter Round designs. In addition, PWS has introduced five colours: Dry Rose, Putty, Dust Grey, Cadet and Storm Blue. PWS is supporting its 1909 collection with a retailer marketing support programme which includes product and set photography, consumer brochure, technical manual and updated catalogues across CAD software. This will be joined by digital, social, press advertising and PR. Read more about how classical styles remain a key interior trend for kitchens.